The Patron of Reading scheme was thought up by Tim Redgrave, now headteacher of Ysgol Esgob Morgan in North Wales. 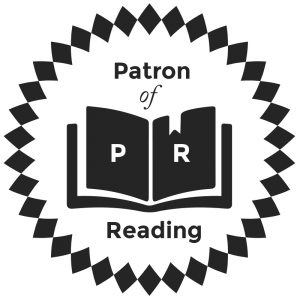 A Patron of Reading is a school’s special, designated children’s author with whom the school forms a personal attachment. The author might be a writer of fiction, a writer of non-fiction, a poet, a storyteller or an illustrator. They will work with the school to raise the profile of reading for pleasure with pupils, parents and staff. And I could be a patron at YOUR school – please do get in touch! What do I do at the schools? Visit 2-3 times a year. Give performances for students/staff parents and governors. Answer e mails from students. Run writing workshops for students. Run Drama/Oracy workshops for students.